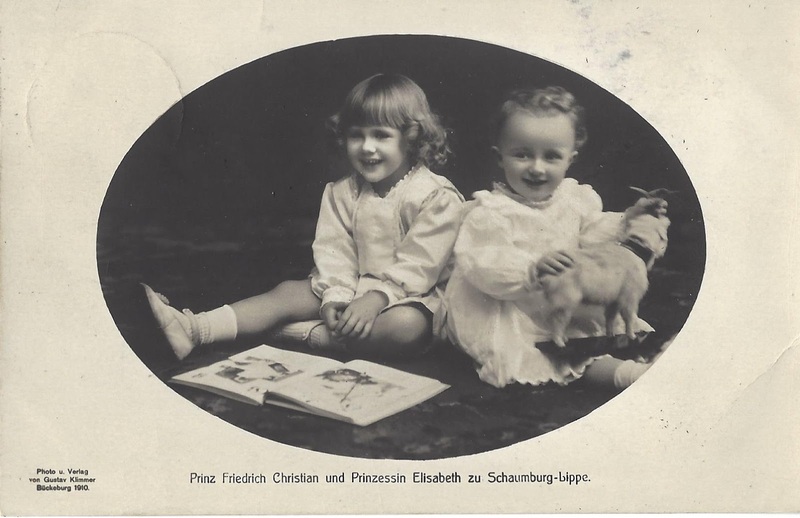 The 8th and 9th children of HSH George, Prince of Schaumburg-Lippe and Princess Marie of Saxe-Altenburg. Friedrich Christian (1906-1983) was married three times. 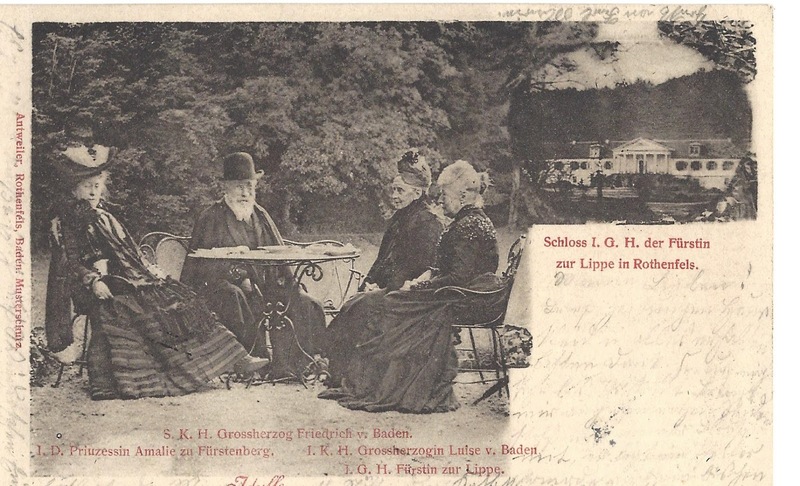 Elisabeth (1908-1933) was married twice, first to Benvento Hauptmann and then Baron Johann Herring von Frankensdorff. She died at the age of 33 on February 25, 1933, 20 days after the birth of her second child, Hans-Georg. I am amazed at how you manage to understand the intricacies of the minor German houses and their alphabet soup of names and titles! You're right with person's and location's description. date of photo is almost unknown, but it seems round about 1900. It shows Rotenfels castle, a summer residence of Sophie Lippe-Detmold. She was a descendant of Marggrave WILHELM of Baden-Hochberg, which buitl this small castle on the walls of an old stoneware factory, which even was built by his mother, Luise Karoline von Hochberg, born Freiin Geyer von Geyersberg, second wife of marggrave / grand duke Karl Friedrich of Baden. The castle almost exists as a school and art academy of Baden-Wuerttemberg country, located in D-76571 Gaggenau (Bad Rotenfels).